Mosquitoes bite, so it makes sense that these insects have teeth to bite you with. In the mind of an uninformed person, this would make a lot of sense. However, mosquitoes don’t bite with their teeth, so there is no number of teeth required for them to survive or reproduce. The confusion about this issue all has to do with their little stinger called the ‘proboscis‘. The mosquito teeth myth is likely to come from the fact that the mosquito’s proboscis, with which they bite their unwilling subjects, consists of a large number of sharp edges, which resemble human teeth. However, these so-called ‘teeth’ are used to reach the bloodstream of their victims, instead of digesting food. How Many Teeth Does A Mosquito Have? Mosquitoes do not have teeth to bite or feed with. However, they have exactly 47 sharp edges resembling a tooth shape. These ‘teeth’ are actually biting hooks for gathering blood. They are found on the proboscis, which is the part of the female mosquito body with which they bite unwilling subjects. The sharp edges on the ‘stinger’ are used to penetrate the skin more easily, but also to probe for the most efficient ways to reach the bloodstream. It’s also a way for mosquitoes to keep sucking blood when their victim is moving, without getting swatted off easily. It’s kind of like having an anchor on a ship, but you’re the ocean and the mosquito is the boat. Are you still following me? Another aspect of the teeth myth I wanted to enlighten you on, is the fact that mosquitoes having those “sharp edges” isn’t exclusively something for insects. There are also fish, mammals and even plants that have these common features. Kind of makes the whole thing a lot less creepy, right? If only humans would have them too… Imagine people with creepy hooks attached to their noses! The world would be a whole lot scarier if that were really the case. But yeah, there must be a reason why mosquitoes lack a set of white chewers, right? Let’s zoom in on why this is the case and why their faces aren’t that similar to that of humans. It makes sense once you know the answers. Why Does A Mosquito Not Have Teeth? There is no need for mosquitoes to have any teeth, because they do not digest food in the same way people would. Mosquitoes feed on liquids (nectar), not solid food. It does, however, make sense for female mosquitoes to have a proboscis with hooks, which is a mosquito’s version of ‘having teeth’. Of the six needles a single proboscis holds, only the outer two needles have ‘teeth’, i.e. the hooks with sharp edges. These so-called teeth are used to saw through the skin of a mosquito’s victim, but will also keep the skin apart when the blood of the unknowing victim is extracted. It’s actually pretty interesting that humans always want to compare their own biology to that of other creatures. Insects like mosquitoes are widely different from our own bodies, yet we do want to know all sorts of things about them from our own point of reference. Do they have brains, do they have eyes, do they actually have teeth? Questions like these are pretty logical from a human perspective, yet do not make a lot of sense in the world of a mosquito. These insects use a widely different set of senses from our own. They perceive the world much different, yet they do have senses that resemble our own. There’s, however, one request that I often get from people that I cannot honor. It’s usually kids that ask this for their biology workbooks, or something similar: Mosquito teeth pictures. Do I want to give you some of them? Sure. Do I have them? No. Does that make me a mean person? No, because there is no such thing as a mosquito with teeth. I’m happy to assist you in your school work, but I cannot give you something that does not exist! Okay, rant over. Just kidding, let’s discuss those mosquito pics, shall we? Some people seem to ask me for mosquito teeth pictures. I can’t give you those, you silly person. It’s not like I don’t want to give you any mosquito teeth pics, it’s more about the fact that mosquitoes don’t actually have any teeth to be photographed with. Would probably also be the reason why mosquito dentists don’t exist. Adult males and females feed on flower nectar, which is essentially a sugary drink. A sip from some nectar would be bad for their ‘teeth’, and you don’t exactly chew on liquids either, right? Does it make sense to you now? Mosquitoes don’t need to have a fear of the dentist, because there is no dentist treatment required for these blood-sucking critters. So what about that brown needle that’s housing their so-called ‘hook teeth’? It’s quite a nifty device, actually. But in order to understand how exactly it works, we’d need to take a bit of a closer look. Because the mechanics of the biting process are actually pretty interesting. There’s not just one needle… There’s six of them in total! How Does A Mosquito Bite Work? 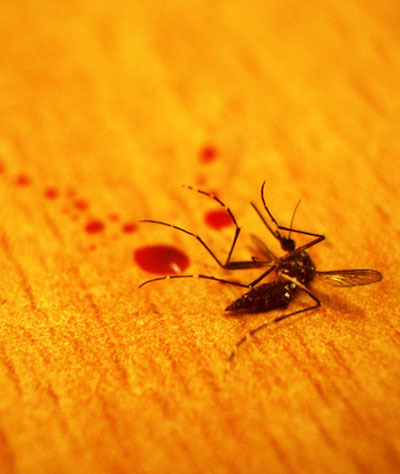 Sometimes, viruses and parasites hitchhike this process and bite victims can get sick (such as Malaria). It’s clear the mosquito bites are a lot more complicated than what first meets the eye. The process has been refined over millions of years, since mosquitoes have been around quite a bit longer than the dinosaurs. It’s even crazier than that: Mosquitoes (or at least insects in general) might have been one of the major contributors to the dinosaur decline and downfall, eradicating one of the most major species groups to have ever roamed on this planet. If you think that’s extreme, it’s likely that most people who have ever lived álso died due to malaria or other mosquito-related diseases. It’s very difficult to prove, but certainly one of those facts that keep coming back over time. 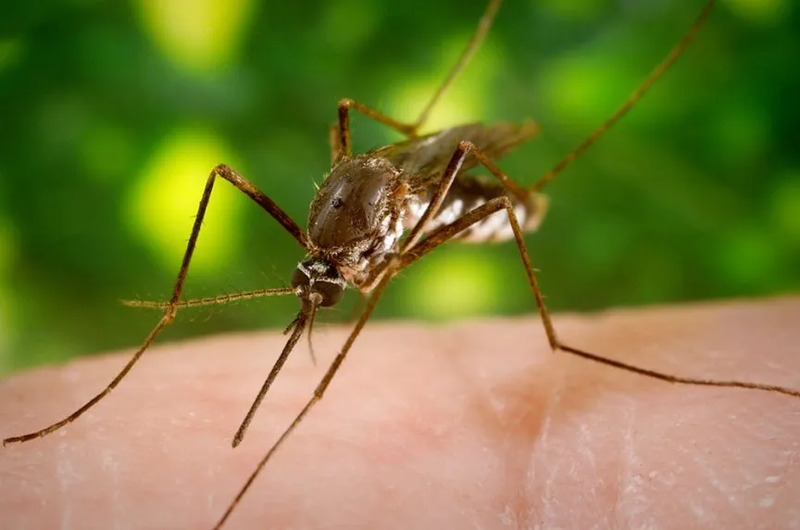 Despite the fact that mosquitoes lack teeth, it’s still very apparent that the hooks on their stinger (proboscis) are actually still very dangerous to people and animals alike. That’s why it is as important as ever to arm yourselves against these blood-sucking and biting pests. I’d like to refer you to the master-page of this website, the location where I try to test, review and gather all of the best mosquito repellents and bite treatments out there. In case you haven’t already, do make sure to check that place out, it’s something I spent a lot of time on. I always enjoy sharing it with people that hate insects as much as I do, because it will actually help you win the fight against them. Happy hunting!